Please click the images below to check out these great resources. Many of them are affiliate links. But I only link to stuff I think will benefit you. And when you buy from them, if I make a commission, the money helps to pay the costs for hosting and website expenses for Torah Sisters. Thanks! Mail Chimp is the service I use for sending out Torah Sisters Magazine. It is a free service for up to 2,000 subscribers, which is why most people choose them. There are several other good email marketing services out there, but MailChimp is affordable, easy to use and has a high rate of deliverability. If you’re a geek like me, you’ll also enjoy their reporting features. 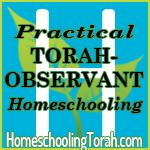 If you’re looking for homeschooling curriculum that is Biblical, Torah-based, and Yeshua-centered, AND affordable, then consider Homeschooling Torah. I won’t hide the fact that the owner is one of my best friends and I attend her Sabbath fellowship. But that makes my recommendation even more credible. She walks the talk. Anne Elliott loves your kids. 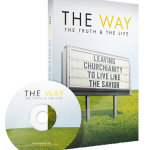 She prays for them and pours herself into writing the best Biblical curriculum on the market. You can believe me because she wrote for her own kids! Visit her website to learn more. Christine Miller of Nothing New Press writes history books and other books from a “whole Bible” perspective. She puts the Bible first, not man’s views. I’ve met Christine and listened to her talk and discuss, and she’s the real deal. She knows history, but she also exudes love and humility. Christine is a real gem, as are her books. Read them for yourself, or I highly recommend using them for your homeschool, as well! (Her books are used in Homeschooling Torah, too.) If you’re looking for a book about Torah, buy her book “The Law of Love.” If you’re interested in Revelation and end times study, you’ll want to read her book, “Revelation Revealed.” I doubt you’ve ever heard a perspective like hers. She also has a blog where she posts Scripture pictures, Bible studies and more at www.ALittlePerspective.com.